With a weathered leather foot and a lightweight and resilient mesh upper, the 11" Moya boot in Tan from the Hero Collection is the best of both worlds. The high-tech mesh upper is crafted from a 3-D polyester textile often found in athletic shoes, so it's designed to keep your feet cooler than all-leather boots. The removable orthotic insole adds to the comfortable experience. 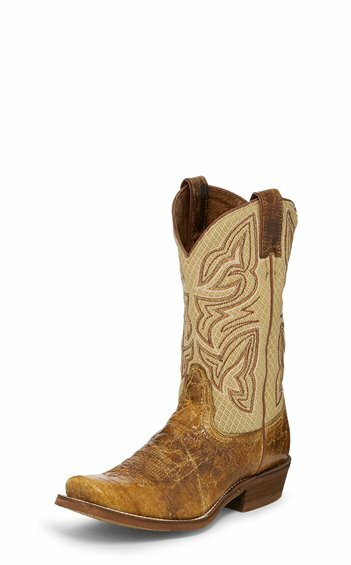 A Nocona Extended Half Moon toe and 1 1/2" underslung heel complete this authentic silhouette.